Koncept VR is a full service content creation agency providing high quality immersive experiences with focus on storytelling. Koncept VR has an exceptional understanding and mastery of immersive content fueled by more than 10 years of expertise starting with panoramic photography to 360º video, VR and AR experiences. With our unique style and dedication to storytelling we create concept-driven and transformative work that is unparalleled in the category. Our team consists of creatives, filmmakers, writers, producers, sound engineers and a bunch of nerds whose sole mission is to provide the best immersive (360º, VR, AR) stories available. By mastering emerging software and technologies, we deliver engaging and captivating experiences for our customers. We are committed to a gold standard of creative integrity and professionalism, having collaborated with companies like Google, The New York Times, Condé Nast Traveler, and World Vision. We approach each VR project from both visual and sensory aspects to create a fully immersive experience for your viewers. Koncept VR provides end-to-end production services for 360° video content. Our team of professionals will help you manage your production so that the final product meets your goals and expectations. From conceptualization through pre-production, shooting, stitching, app development and deployment – we are the professional content creation company dedicated to serving your needs. Virtual Reality is a rapidly growing promotional strategy. Some of the biggest brands in the world are employing it at events and trade shows, both because of the medium’s novelty, and the effective way that it can show off products by creating an immersive experience for the customer. Virtual Reality presentations create an impact that lasts even after the experience has ended. Koncept’s Virtual Reality team will create the story behind the experience, produce it, and provide the necessary equipment and knowledge to deliver it to your customers in a live setting. 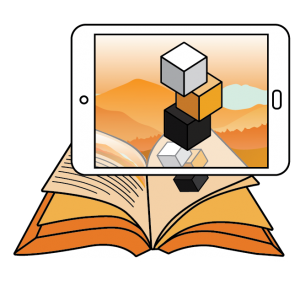 Augmented Reality (AR) superimposes digital objects (3D/2D) over the physical real world environment. This overlay can add to existing real world objects or replace them. The user can playfully interact with the AR, driving brand awareness, deeper understanding, or a call to action. AR applications work on most mobile phones and tablets or specialized AR glasses (i.e. Magic Leap or HoloLens). 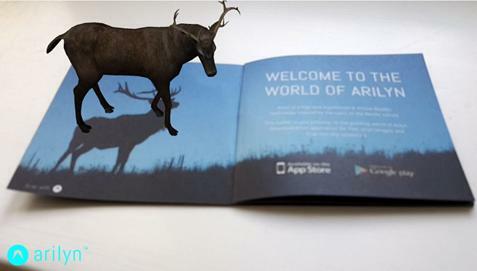 AR content can be triggered by geo-location as well as printed images i.e. magazines or product packaging. Thus AR can tie in with events, neighborhoods or existing print distribution. We offer concept design and consultation for your AR projects. This includes all aspects of how and where the user interacts with the AR campaign as well as the design, creation and integration of digital assets such as 3D models, 16:9, 360º or volumetric video. Arilyn, a well-integrated AR platform, is our technology partner to make your AR campaign a reality.